Purge the undead! Awesome upgradeable guns and armor, unique class skills, and 4 player co-op! Play the most intense zombie shooter on mobile, from the makers of Bloons TD 5. A virus outbreak on a distant trans-federation planet unleashes horrors from humanity's past. 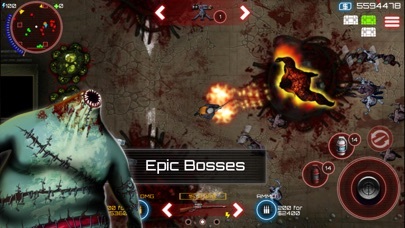 A powerful, rapidly growing zombie horde threatens the very existence of humankind, and the only ones capable of fighting back are the highly skilled, highly weaponized special forces of the S A S. Choose from 3 unique character classes, maximize the fully customizable skill tree, and select from hundreds of weapons and armor pieces to build the ultimate zombie killing hero. Play dynamic, challenging levels in single player or 4 player cooperative multiplayer and give our ravaged civilization its last best hope for survival. 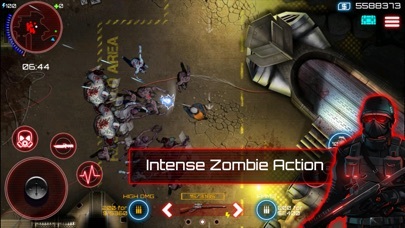 INTENSE ACTION Zombies swarm the screen, exploding into bits under your hail of bullets. Each of the 17 unique zombie types have special attacks and behavior, and they can evolve - manifesting terrifying new powers as you progress through the game. And just when you think you've beat them all, savage boss zombies hunt you down, puking out acid worms or storming after you in rage mode. Learn their strengths and weaknesses as you lead the action across 7 story-driven maps with varying victory conditions. 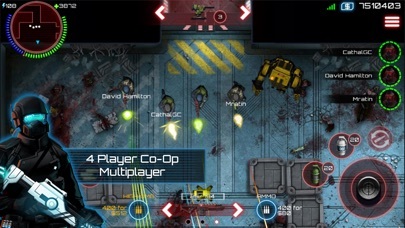 UNBEATABLE 4 PLAYER CO-OP Quickmatch with up to 3 other players of similar level and use the custom skills and weapons chosen by all players to form an effective fire team. Coordinate auto-turret placements, high level room-clearing powers like Assault Team, Aerial Bombardment, and Zombie Antidote, and move physics objects to create temporary cover while you paint the room red. HEAPS OF EPIC LOOT Over 160 incredible guns and armor pieces are locked up tight inside increasingly rare strongboxes that you can find in secret rooms or on the mangled remains of your enemies. Your loadout includes a pistol and two rifle class weapons - choose from fast firing submachine guns, devastating shotguns, high damage assault rifles, brutal machine guns, flamethrowers, rocket launchers, lightning guns, and more. Armor up for protection against physical, thermal, and chemical attacks, then round out your arsenal with auto-turrets, grenades, and special high damage ammo to rip through the undead before they rip through you. AMAZING RPG-STYLE UPGRADES The Assault, Medic, and Heavy Gunner classes each have unique upgrade trees, giving each character 19 skills to customize. Hundreds of guns and armor pieces have a range of grades and a powerful RED version when you reach high levels. 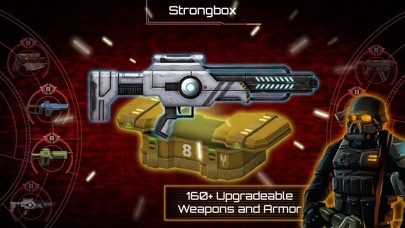 In addition you can add powerful augmentations to your guns and gear which enhance core properties like damage and rate of fire, but can also improve reload time, resist damage, and heal. Download for free and play SAS: Zombie Assault 4 now! Currently in development - private matches and events. Please be patient and know that private matches is a top priority. Please Note: SAS: Zombie Assault 4 is free to download and play (aside from internet, carrier, data, device, and other services for which the player is financially responsible), but some in-game items can be purchased with real money. You can turn off the payment feature by disabling in-app purchases in your device's settings. 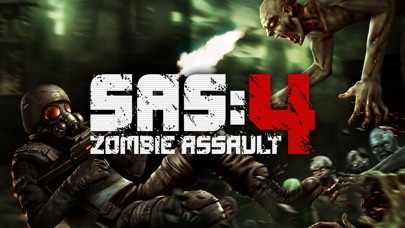 SAS: Zombie Assault 4 is recommended for players 12 years of age and older, and the fantasy violence, gibs, and zombie blood are to be expected given the survival theme. We have included a "Gore" setting on the Options screen specifically for young or sensitive players, and this removes the blood and gibs when Gore is toggled Off. This game is extremely fun, but there are a few ideas that might be interesting to see, more weapon variety, more armors and augments, and maybe a system where if by the end of a match if a turret still has ammo it is recollected automatically by the player but they have to pay an amount to refill it’s ammo, say a turret is $1200 and it uses 3/4 of its ammo, then the player can pay $900 to refill the 3/4, just an idea and I could understand if it wouldn’t work because of game restraints or some other problem, but i think it might be interesting to try. Don't get me wrong, I love difficult games. But this one is just way too difficult. The zombies spawn like no tomorrow, and the movement and aiming cursors are hidden in the corners of the screen. It's hard to move because of the never ending horses and inability to reach the buttons. Other than that, I guess the games okay. Definitely a downgrade from SAS:ZA 3, which I played religiously. Great game! But can we get a buddy? Love this game and I know the last update was 2 years ago but I would love it if SAS 4 had a update like SAS 3 were we could have a buddy/AI partner. This game has been out for a long time on mobile, and even longer then I can remember on pc. I use to play the hell outa pc, 4 accounts, all of them had a full stable of 6 lvl 100s, got tournament guns a bunch of times. Not bragging tho. Anyway, after I finished my second account I really began to noticed the lack of updates. Being the spaz I am I came to mobile to see if it were different. And I was disappointed. Not all the maps are here, no tournaments, and no new guns or armors. I have put more time and money into this game then I’d like to admit and to see this? It really makes me want to demand for refunds! Get it together! Let’s have some updates for a change! !